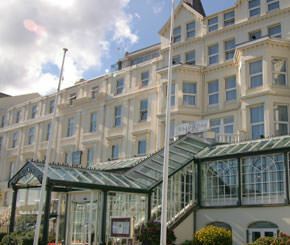 The Empress Hotel commands a prime position on the Promenade overlooking Douglas Bay on the Isle of Man just a short walk from the Town Centre and financial Centre. The hotel consists of 102 bedrooms including 3 luxurious executive suites and is widely recognised as one of the premier hotels on the Island. All rooms have complimentary refreshments, satellite TV on LCD flat screen televisions, en-suite marble bathrooms, hairdryers, trouser press, direct dial telephones and WiFi internet access. Other facilities include a contemporary Piano Bar with conservatory overlooking the promenade, choice of restaurants to include contemporary Asian buffet dining and traditional modern English cuisine, swimming pool, spa, gymnasium, saunas and steam room. 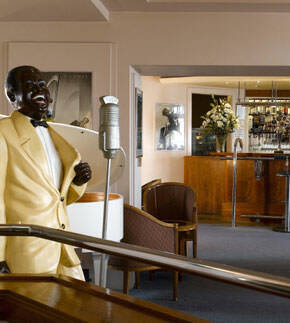 Our function rooms and suites have been regularly used as production offices and wrap parties. The Empress prides itself on unrivalled quality of service.